The LIBERTY.A is a simple trojan written for the 3COM Palm platform. When activated, the trojan deletes all application files on the device. The trojan pretends to be a crack for Liberty Gameboy emulator 1.1, and is shown as Crack 1.1 icon in the palm screen. On a PC, the Trojan will appear as a file called "liberty_1_1_crack.prc" with a size of 2,663 bytes. When a user tries to execute the application, the trojan is activated and it attempts to delete all application files on the device and then reboot it. This file is a trojan, not a virus, so it cannot replicate itself into any other files, and it does not transfer automatically. 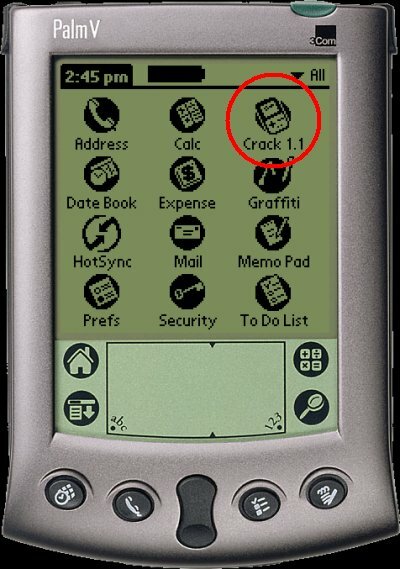 To remove the trojan from the palm device, select the delete option from the app menu (click menu button when on applications screen), and delete the Crack 1.1 application. To remove the trojan from PC, please use F-Secure Anti-Virus. If you have activated the trojan and lost files, the files can be restored by setting all HotSync conduits to 'Desktop overwrites handheld' and hotsyncing with the Palm desktop. The hotsync conduits can be set at the HotSync/Custom menu at the Palm desktop. F-Secure Anti-Virus detects the trojan with the updates since August 30, 2000.